​Although the respiratory system is essentially in good working order, the bronchi which are small tubes carrying air in and out of the lungs become inflamed and more sensitive than usual. 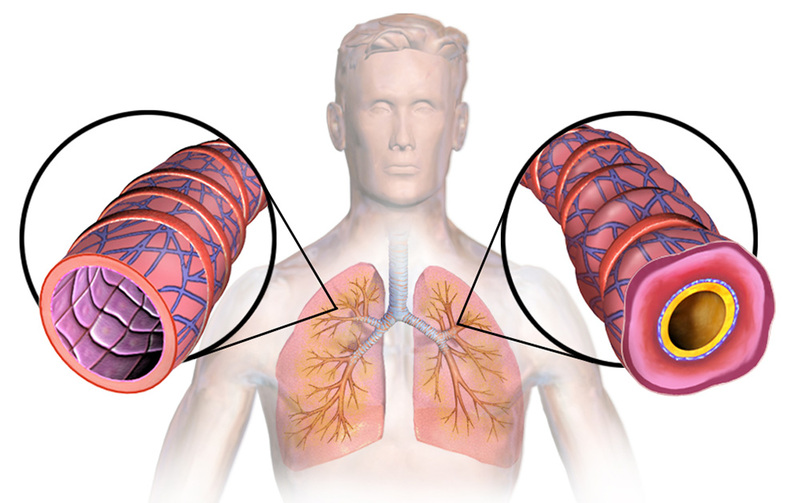 The result is that when a person comes into contact with something that irritates the lungs, airways are narrowed and the muscles around tighten. There is an increase in the production of sticky mucus (phlegm) and difficulty in breathing. It is usually treated by prescription drugs and inhalers for immediate relief. It redcuces IgE levels, which means the immune system won’t over-react to asthma/allergy triggers. There are a number of National Institute of Health and other scientific research studies that confirm halotherapy is an effective natural treatment for asthma. Salt therapy treatment for asthma has been a preferred alternative treatment in Europe for nearly 200 years. In Eastern Europe and Russia, it is known as speliotherapy with salt sanitariums established in caves. Now this treatment is available at the Vermont Salt Cave Spa & Halotherapy Center instead of having to travel to the salt caves of Europe. Here you will find the simulated microclimate of these caves through the use of a Polish medically certified machine known as a halogenerator. For long term results 10 – 30 sessions are recommended for long term asthma results, with 2 or 3 sessions per week. In most clients after a course of salt therapy, airways become normal and symptons disappear. The treatment’s efficacy is estimated at 75-95%. ​Special Offer for Asthma sufferers: Try our salt cave once, at absolutely no charge and with no obligations. You will notice the immediate difference in your breath.